Obsidian Control Systems is pleased to announce that it will be showcasing at the PLASA show in London the first two lighting control products under the ONYX™ lighting control platform, the extremely powerful NX 2™ and the portable NX Wing™. Designers, programmers and operators are invited to Elation Professional Stand H40 September 16-18 at Olympia in West London for a first look and hands-on demo. NX 2™: The powerful NX 2™ is the ultimate compact yet fully-integrated lighting controller. As a member of the innovative ONYX platform from Obsidian Control Systems, the NX 2 is feature rich and never restricted in its capabilities. 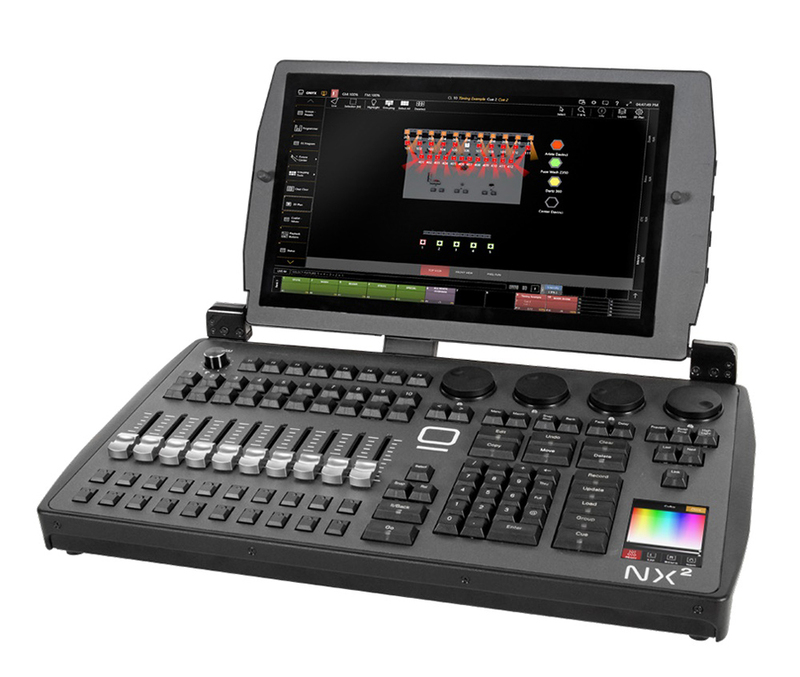 NX 2 offers a slate of professional features like a high brightness, full-HD multi touchscreen, 8 assignable parameter encoders, an assistive mini touchscreen, full keypad and command section, a dedicated grand master, and 10 full playbacks with four freely assignable buttons. Utilizing the latest in industrial components, the NX 2 contains a powerful Intel Hexa-Core processor, high-speed NVMe SSD drive and 16GB of DDR4 RAM. Fast boot times, instant operation and the ability to process 64 Universes right inside the console without the need for costly external processing networks result in unprecedented power in this small form factor. The NX 2 has all the connectivity and power the ever-increasing size of shows demands. NX Wing™: NX Wing™ is the complementary USB control surface to Obsidian Control Systems’ ONYX platform. Based on the NX 2 console, the NX Wing utilizes the same rugged design and components with an identical footprint and layout. Through its USB connection, the NX Wing provides a responsive professional hardware surface to operate ONYX on any PC system without compromises. Any user of ONYX will feel instantly familiar with the NX Wing and no setup or additional installation is required. Simply plug it into a user-provided PC with ONYX and get started instantly. 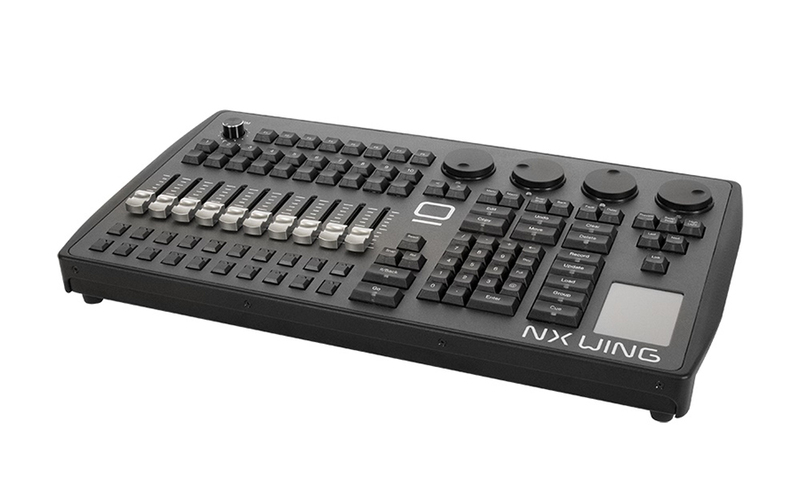 NX Wing provides extensive connectivity with 4 DMX Ports, MIDI and Timecode ports while unlocking 128 Universes of control when connected to ONYX on a PC. ONYX is a powerful yet easy-to-learn lighting control platform designed for both hardware consoles and PC systems. It is a rebranding of the well-established M-Series control platform and is designed for use with all new ONXY and existing M-Series hardware (M-DMX, M-Touch, M-Play, M2PC, M2GO, M2GO HD, M1, M1 HD and M6). Designed and maintained by real-user professionals with over 25 years of experience in lighting control systems, ONYX provides a stable and efficient programming platform that is fast to program and fun to operate. ONYX scales from the smallest shows to the largest touring productions with easy-to-use tools and optimized graphical work environments that can adapt to any task and complexity. Obsidian Control Systems products are exclusively distributed by Elation Professional worldwide and are available in various sizes to accommodate any scale and budget. More information on Obsidian Control Systems and the ONYX platform can be found at www.obsidiancontrol.com.